MBA is a Master’s degree in Business Administration, the growing demand of the economy to go global is calling for the need of more people having the knowledge in managing a business which only an MBA degree can provide them. Let’s see what all exams you need to take to get into a good MBA college, how you need to prepare for them and the eligibility criteria etc. After you have done your graduation, irrespective of what field you chose, whether you are an engineer, IT graduate etc. you will be ultimately either be working for someone or will start a company of your own. In either case, you will be supposed to manage a business or functionality. The knowledge required for running and/or administering a business comes from studying the tidbits of management, thus MBA. To have an MBA degree has become the need of the hour, with almost all companies asking for a degree in Business Administration. For those who are not looking for a job use the MBA degree to start some venture of their own or advice someone how to go about their business as a freelance advisor. With so many MBA colleges opening in every nook and corner of the country, the value of the degree has considerably lowered. However, the theoretical and practical knowledge that comes with getting the degree from a good MBA college in India cannot be ignored in disdain. If not a guaranteed job, an MBA degree will at least land you with the immense knowledge of handling business and the workforce. It can be argued that the knowledge you receive from an MBA degree can be received from working in a company, however the time you will need to grasp the functionalities will be faster when you have studied them in detail well in advance. Now that you have decided to join the majority of India’s postgraduates opting for doing MBA, you will have to prepare for the entrance exams to get selected in the MBA College of your choice in the future. The criteria of almost all MBA exams in India are a minimum of 50% in graduation, a graduate degree or the applicant can be a final year graduate. The minimum educational qualification of someone who is eligible to take the MBA exam is 10 + 2 + 3/ 4 years of school plus college. Some of the exams have already closed their registration dates for the year 2014; however there are a few left which are still accepting the call for application. It’s time to make sure that you apply for such exams on time; else you will have to wait for the year 2015 to start with the registration process and that will cause a year break. A typical MBA exam in India follows a similar structure of 4 – 5 sections. 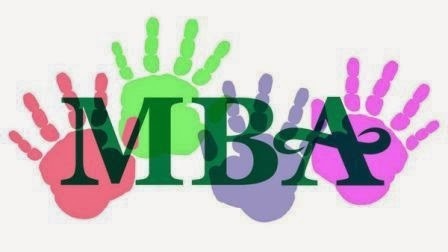 In order to be eligible for getting admission in MBA, you are supposed to pass all the sections. The time of exam and amount of negative marking may vary from exam to exam. The ranking which is given to every section may vary from exams to exam. In order to pass an MBA exam in India, it is extremely important for you to practice at least previous 5 years question papers of the exam you are applying for, keep in mind the importance of time factor. The time you will be required to finish the paper with minimum negative answers is fixed. The preparation time for MBA exam is very crucial in order to bag your dream college which will provide a good package placement. Thus it is very important for you to start at the earliest, keeping all factors related to the paper structure in mind. At this point, don’t waste your time thinking what field you would opt for, as you will get plenty of time in college to think the same. A professional writer and an avid reader, Tripti has been in the writing industry for 2 years now. Her work ranges from articles on education to property and employment.